April 10, 2019 - Is the dream of one global Internet still alive? Increasingly, moves by governments to filter and restrict content are threatening to fragment the system created with the promise of connecting the world with a largely unified body of content. For years, China has walled off some Western services, and the fragmentation may be accelerating with regulations being imposed elsewhere. This is leading to a "splinternet," a term circulated for a decade or more but gaining more traction in recent months. TUCSON, Arizona (PNN) - March 11, 2019 - NASA’s Lunar Reconnaissance Orbiter (LRO) has observed water molecules moving around the dayside of the Moon. The Lyman Alpha Mapping Project (LAMP) measurements of the sparse layer of molecules temporarily stuck to the surface helped characterize lunar hydration changes over the course of a day. MOSCOW, Russia (PNN) - March 13, 2019 - Scientists have built the world’s first time machine - sort of. Working with electrons in the bizarre realm of quantum mechanics, they first created the equivalent of a break for a game of pool. The “balls” scattered and, according to the laws of physics, should have appeared to split in a haphazard way. But researchers managed to make them reform in their original order - looking as if they were turning back time. NEW YORK (PNN) - March 3, 2019 - In the technology-dependent world we live in today, an EMP attack is one of the worst things that could happen. Surviving one requires a lot of preparation and planning. You need to understand first what an EMP is and what it can affect in our daily lives. EMP stands for electromagnetic pulse, which is a short, intense burst of electromagnetic energy. Charged particles, usually electrons, accelerate rapidly and abruptly. This may occur during thunderstorms when lightning strikes the ground. A lightning strike produces an EMP that causes a sudden rise in electric current in nearby wires. This abrupt surge can literally burn out the wires, especially those tiny wires found in computers and electronic devices. 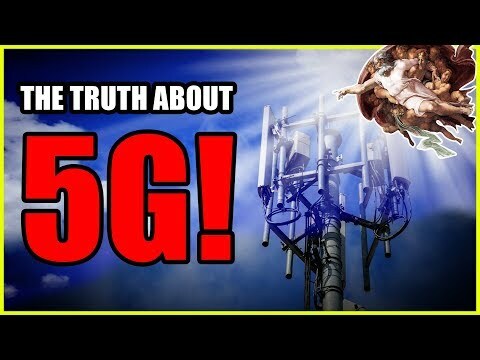 Luke Rudkoswki of WeAreChange gives you the latest breaking news on 5G technology with Max Igan. Igan expertly breaks down what the future holds for this technology and humanity and how it will change a lot more than just your cell phone. LONDON, England (PNN) - December 22, 2018 - Futurologist Dr. Ian Pearson believes a helmet placed on a human head in a laboratory will be able to project their thoughts in real-time. He spoke after researchers claimed they can tell what rats are thinking by analyzing activity in their brains. But ex-cybernetics engineer Pearson believes humans will be able to take it one step further. SANTA CLARA, Kalifornia (PNN) - December 17, 2018 - Believe it or not, all these faces are fake. They have been synthesized by Nvidia’s new AI algorithm, a generative adversarial network capable of automagically creating humans, cats, and even cars. CHEVY CHASE, Maryland (PNN) - December 10, 2018 - The Central Intelligence Agency made six remote-controlled dogs as a part of their MKULTRA “behavior modification” or mind control program. Using brain surgery, newly requested documents show that the dogs were “field operational” and controlled by human beings.